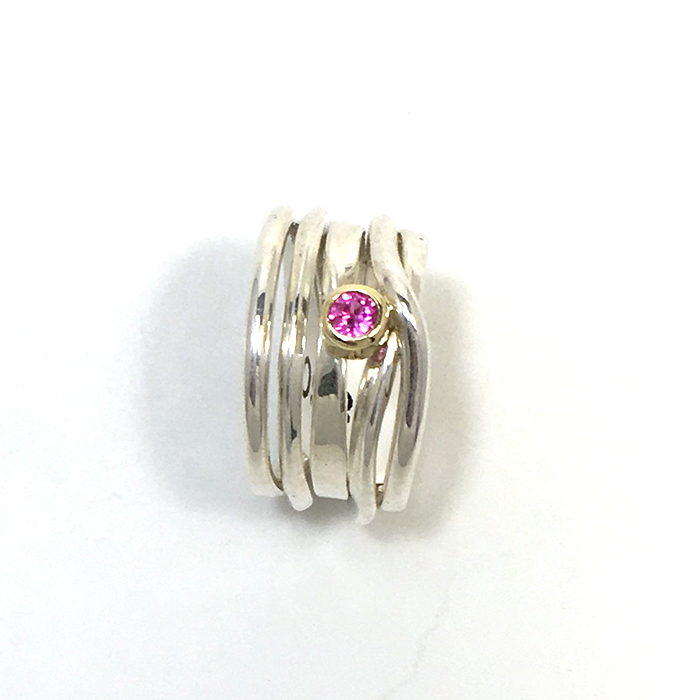 Surprised to see a sapphire in pink? 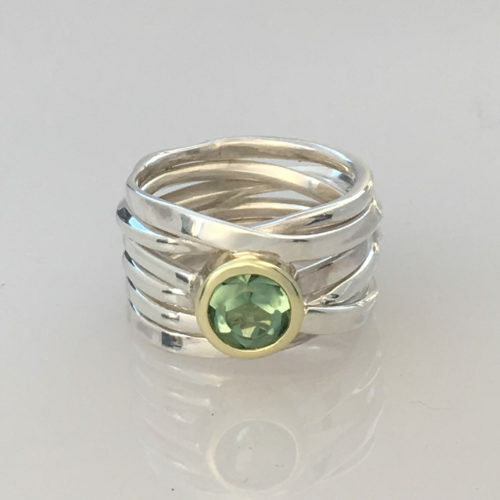 Sapphires come in all colours of the rainbow, even though the blues are best known. 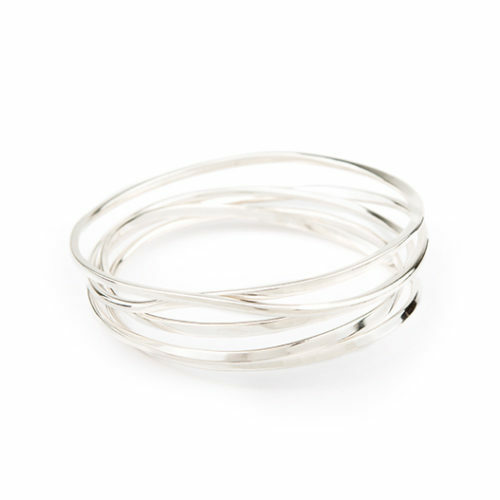 This hand-forged Onefooter size-6 ring will fit someone who would wear a size 5.5 in a more narrow ring. 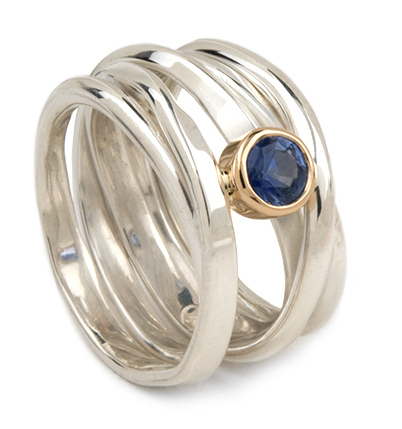 The sapphire is small at 3mm, and is set in 18k yellow gold, but I find that its brightness makes up for its size. The whole things seems to balance in the end.